From the end of World War II until 1980, virtually no American soldiers were killed in action while serving in the Greater Middle East. Since 1990, virtually no American soldiers have been killed in action anywhere else. What caused this shift? 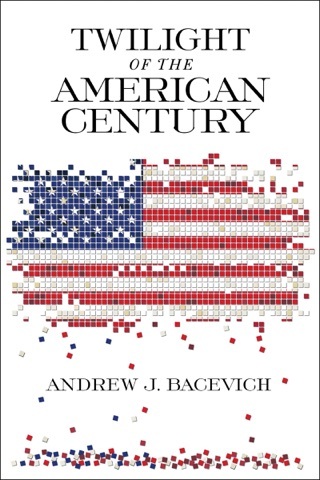 Andrew J. Bacevich, one of the country’s most respected voices on foreign affairs, offers an incisive critical history of this ongoing military enterprise—now more than thirty years old and with no end in sight. During the 1980s, Bacevich argues, a great transition occurred. As the Cold War wound down, the United States initiated a new conflict—a War for the Greater Middle East—that continues to the present day. The long twilight struggle with the Soviet Union had involved only occasional and sporadic fighting. But as this new war unfolded, hostilities became persistent. From the Balkans and East Africa to the Persian Gulf and Central Asia, U.S. forces embarked upon a seemingly endless series of campaigns across the Islamic world. Few achieved anything remotely like conclusive success. Instead, actions undertaken with expectations of promoting peace and stability produced just the opposite. As a consequence, phrases like “permanent war” and “open-ended war” have become part of everyday discourse. 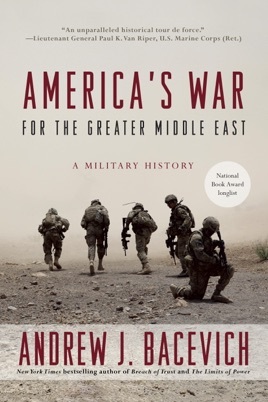 Connecting the dots in a way no other historian has done before, Bacevich weaves a compelling narrative out of episodes as varied as the Beirut bombing of 1983, the Mogadishu firefight of 1993, the invasion of Iraq in 2003, and the rise of ISIS in the present decade. Understanding what America’s costly military exertions have wrought requires seeing these seemingly discrete events as parts of a single war. It also requires identifying the errors of judgment made by political leaders in both parties and by senior military officers who share responsibility for what has become a monumental march to folly. This Bacevich unflinchingly does. 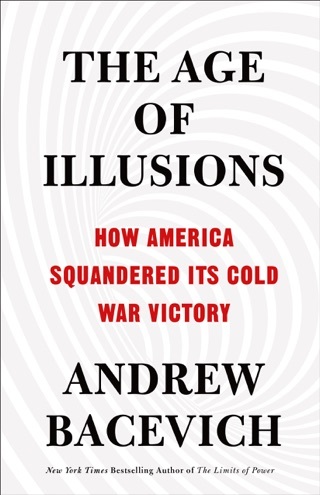 A twenty-year army veteran who served in Vietnam, Andrew J. Bacevich brings the full weight of his expertise to this vitally important subject. America’s War for the Greater Middle East is a bracing after-action report from the front lines of history. It will fundamentally change the way we view America’s engagement in the world’s most volatile region. Bacevich (Breach of Trust), a respected historian, international relations specialist, and U.S. Army veteran, unleashes another sharp and informed critique of U.S. foreign policy. 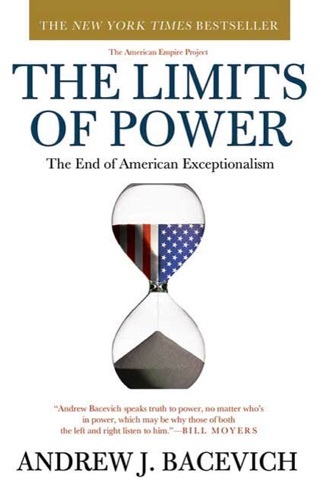 He argues that, beginning in 1980, a transformation of priorities occurred in which access to oil in the greater Middle East (a very broad term that encompasses the Middle East, Southwest Asia, parts of Central Asia, North Africa, and the Sahel) arose as a strategic imperative. 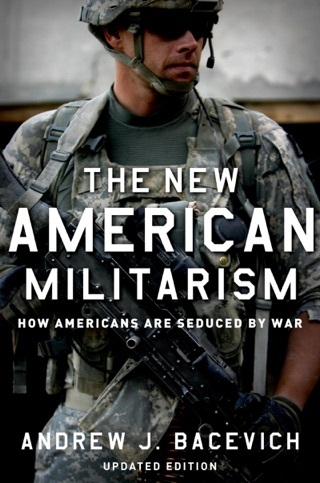 As the U.S. began to develop an increased proclivity for military force, it became progressively entangled in regional developments, launching operations in Iran, Somalia, Iraq, Afghanistan, Libya, and beyond. 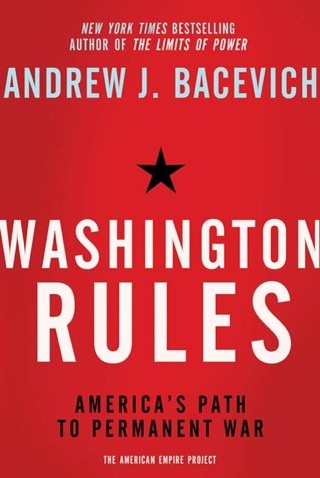 Bacevich ties these actions and interventions together in a clear and accessible narrative, positing that such engagements have been rife with ignorance and ambiguity. Moreover, they have largely been ineffective in their purposes and have often resulted in unintended, unforeseen, and destructive consequences that continue to plague the region. The analysis and criticisms are often piercing and rarely elucidated in mainstream echo chambers; the tone is restrained, balanced, and authoritative, rather than radical and incendiary. 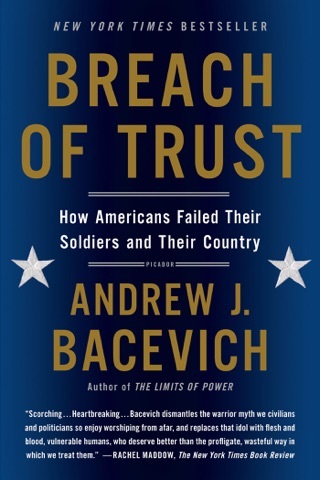 Politicians and policymakers would be well advised to take into account what Bacevich reveals as the potential long-term consequences of the use of military power. This exemplary work, both readable and deeply informative, will be welcomed by anybody interested in U.S. foreign policy and curious about the present-day afflictions of the greater Middle East. Maps.